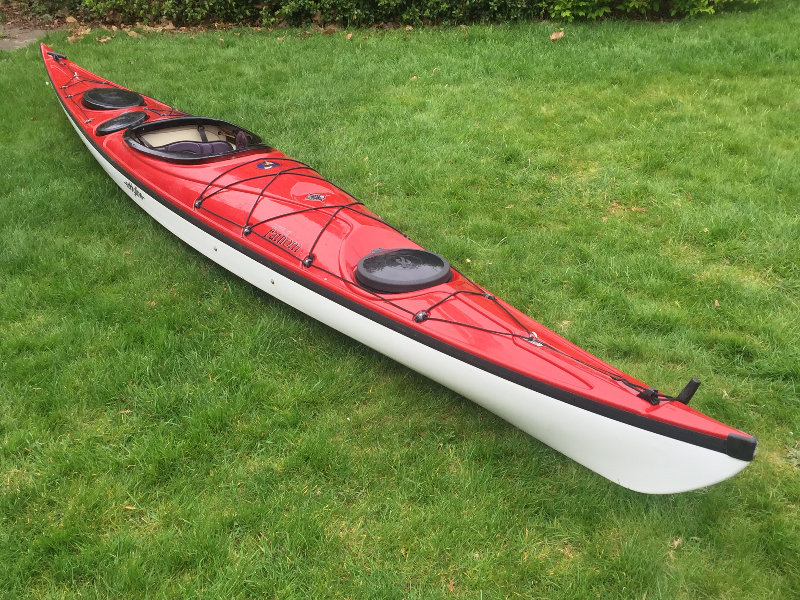 A high quality Sea Kayak made from Carbonlite composite for sale - £1100. Plenty of storage with three separate compartment. Standard cockpit with well fitted out seat and easily adjustable footrests. It also has a retractable skeg - the slider to the side of the cockpit drops the skeg and is working smoothly). I bought it a couple of years ago, from a local paddler. I never worked out from the previous owner how old it actually was, but neither of us have used it heavily. The boat has been stored under cover and previous owner kept it in a garage. See https://eddyline.com/kayak-model/fathom for more details. I can also send on more photos on request. Hurley area in case anyone wants to have a look.